Videovision is a diversified company with operations that range from its core business of film and television production and distribution to media, live entertainment and film studio and real estate development. Through its diversification programme, the company has achieved phenomenal growth over the years, resulting in it becoming one of the leading media and entertainment entities in South Africa and the African continent. Videovision has achieved significant success and has a proven track record in the various facets of its business. Videovision has produced more than 80 feature films over the past 30 years in South Africa, the United States, United Kingdom, Canada and Hong Kong, with an aggregate value of production costs in excess of R1 billion. Among the company's productions are some of the most profound films to have been produced in South Africa, including: A Place of Weeping; Cry, The Beloved Country and Sarafina! Yesterday was the first South African film to receive an Academy Award Nomination. Mandela: Long Walk to Freedom, which is based on Nelson Mandela's autobiography has been lauded worldwide and has received prestigious award recognitions, including Academy Award and BAFTA nominations and a Golden Globe Award win. Videovision's association with South Africa's Number One Box Office star, Leon Schuster, has seen the production of three of the Top Five All Time South African box office successes ─ the hit comedies Mr Bones 2 which has earned R35 million, Mr Bones which grossed R33 million at the box office and Mama Jack which grossed R28 million. Videovision Entertainment is among the leading independent film distributors in South Africa, acquiring more than 3 500 international films for distribution in the country over the last 25 years. These films range from independent films and documentaries, foreign language and art house films to multi-million dollar blockbuster films. Videovision Entertainment holds a significant stake in Next Entertainment, which distributes home entertainment product in South Africa and holds the rights for Blu Ray and DVD product for some of the major Hollywood studios including 20th Century Fox, MGM, Universal, Sony and numerous other libraries. The company has promoted some of the most successful stadium extravaganzas ever staged in South Africa. Among these are the South African legs of Michael Jackson's HIStory World Tour and Gloria Estefan's Evolution World Tour. It also promoted Bollywood megastar, Amitabh Bachchan's Jumma Chooma Concert and also the Now or Never Live! Videovision has developed Cape Town Film Studios, the R400 million, state-of-the-art film studio facility in the Faure area outside Cape Town. Equipped with the latest technology, the studios cover an area of 200 hectares with 60 hectares for film studios and associated facilities and the remainder for commercial, industrial and residential development. The company is developing eThekwini Film City on the Natal Command site on the Durban beachfront. 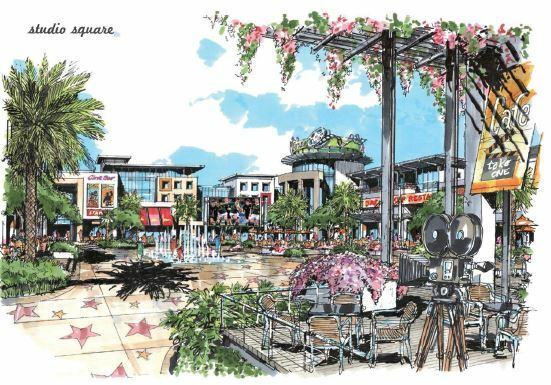 The development will be anchored by eThekwini Film Studios and will comprise of Sound Stages and Production Workshops, the Walk of Fame, a television studio, editing suites, a Back Lot set area, Midway Centre and a Museum of South African Cinema. The company has developed the prestigious, seven star high-rise residential complex, The Pearls Umhlanga, situated in the tourism belt of Umhlanga, north of Durban, The Pearls is a luxury, high-rise residential development with 260 apartments at present. Pearl Sky, which will be completed in 2017, will comprise 422 luxurious residental apartments and a luxury mall offering upscale shopping with the country's most stylish boutiques, designer labels and the finest restaurants. Black Economic Empowerment is designed to bring historically disadvantaged people into the mainstream of the economy and this is one of Videovision Entertainment's core goals. Our vision of being a significant, commercially-driven, 100% black owned and controlled company, lends itself to the development of an economic and social order reflective of the country's demography. Certainly the fortunes of South Africa, and our company, depend greatly on the implementation of this vision into a sustainable reality within the activities of the company.